Ella discussing her fingernail choices. When Ella came to her lesson this week with long fingernails, I was thrilled. OK, maybe not thrilled, but excited at the opportunity. It finally occurred to me that students who were happily playing with long fingernails weren't having the same reaction I have when my nails are too long. I can't play when my nails are long. It drives me crazy. One moment they're fine, the next I'm frantically grabbing the clippers. Students experience this differently. As their nails grow a bit each day, they simply adapt their playing to the slightly longer nails. They don't make an active decision to play with long nails. It happens a tiny bit each day and they accommodate these small changes. Think about it from their side. Their young bodies are constantly changing and they're used to accommodating. Their teeth are falling out and growing back in crazy ways. They're growing - sometimes an inch overnight. They have scrapes and bumps and bruises all the time. A few long fingernails? What's the fuss? That's why I've started giving my students an opportunity to feel why short nails are better. Ella's thumbnails - one long, one short. It feels so much better than getting angry. If all behavior is communication, then the students are communicating that they don't feel and/or understand why short nails are better for playing the piano. What's the hurry? There's a window of opportunity here for learning. We clipped the fingernails on only one of Ella's hands. Then, I let her play for a little while with long nails on one hand and short nails on the other. I gave Ella the chance to feel for herself - why does it feel better to play with short nails? The next time a student comes to a lesson with long fingernails - and you know they will - skip your anger and frustration. Use it as an opportunity! 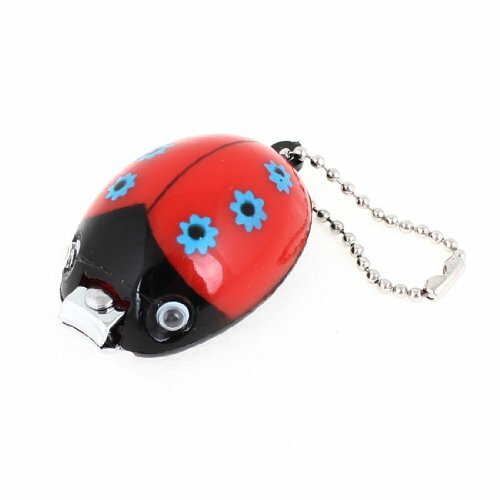 There may be no better way to clip nails than with a Ladybug Nail Clipper! They come in lots of different colors.